Butterflies won’t let your balloons fly away! Butterfly balloon weights are fun, festive, and perfect for helium-filled latex balloons, foil balloon, and balloon bouquets and clusters. 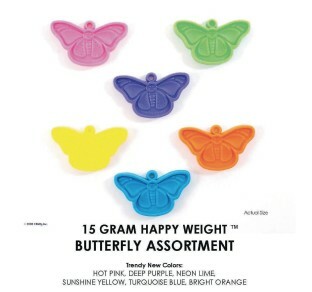 Balloon weights with large top loop (for easy ribbon attachment), featuring 3-dimensional, sculpted detailing and available in eye-catching neon colors. Creates a perfect finished balloon presentation. 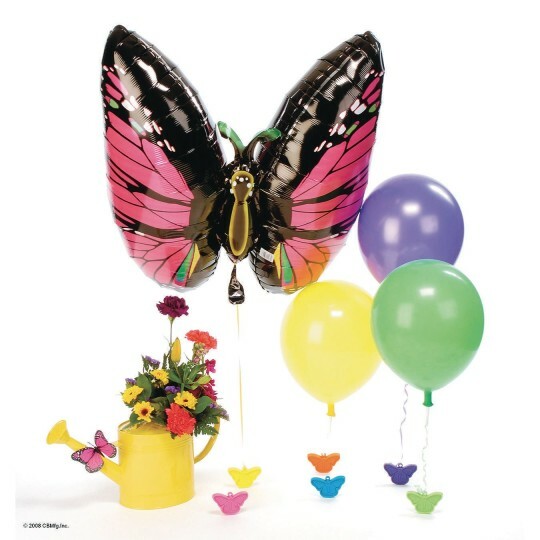 Great for birthday parties, spring and summer party balloon decorating and themed parties. Molded from durable, top-quality plastic material. Neon assortment of hot pink, lime green, turquoise, bright orange, sunshine yellow, and deep purple. Approx. 3” x 2”. 100% recyclable. Holds up to 4°C 10” helium-filled latex balloons; holds up to 1°C 32” helium-filled foil balloon.